Kresge Contracting provides high-quality kitchen cabinets and an array of kitchen remodeling and design-build services to transform your kitchen into a space you can be proud of. With Kresge Contracting, you can find a wide array of kitchen cabinets available in a variety of designs, styles and materials to suit your kitchen design and budget. Kresge Contracting provides stock and semi-custom kitchen cabinets, as well as hand-crafted, custom-made cabinetry to complement your kitchen design. Whether your preference is for French-style kitchen cabinets or the sleek and clean lines of Shaker craftsmanship, you’ll find the right kitchen cabinets at Kresge Contracting. 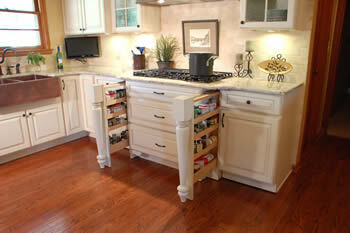 One-stop service with a complete line of high-quality kitchen cabinetry from trusted brands and manufacturers. 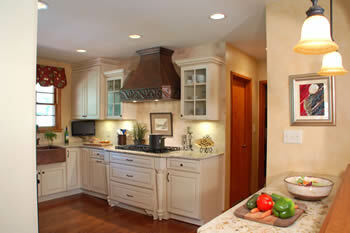 NARI Certified professional remodeling specialists and craftsmen. Over 25 years of extensive experience and proven expertise in the home improvement and design-build industry with thousands of successfully completed projects. A wide range of remodeling services, from partial renovations to complete design-build services, specializing in historic restorations and full modern design transformations. Home improvement designs that may include ADA-accessible kitchen spaces.